Your pets are always up for lots of kisses and cuddles, and always give us better warmth than your trusty old snuggly blanket, so it’s only natural to want to include them on your christmas gift list. Now I know the saying goes that diamonds are a girls best friend- well, I can tell you that for me, it’s my two fur babies – Tiago and Miguel (Miguel refused to be photographed for this post, so Tiago stepped up to the challenge *LOL* – God bless his furry little paws). Next to my husband, they are the true loves of my life. These two full of energy pocket rockets have given me so much love and happiness, especially as this year has been such an incredible roller coaster challenging year for me, anxiety wise, that I seriously cannot imagine my life without them, ever. We haven’t been blessed with children of our own, so both Tiago and Miguel are our children, and we do treat them like as if they are as well. So there is no way I could not give them Christmas gifts – they do also get birthday gifts too, so fairs fair. Dogs are such intensely loyal creatures who just love nothing more than wanting to be a part of the family and they should never ever be neglected or forgotten about. There are so many different types of gifts that are available for dogs, such as blankies to give them comfort, treats to rewards them for good behaviour and/or even just the plain old soft toys. Here are some gift ideas sure to get your beloved pooch their paw approval. ? 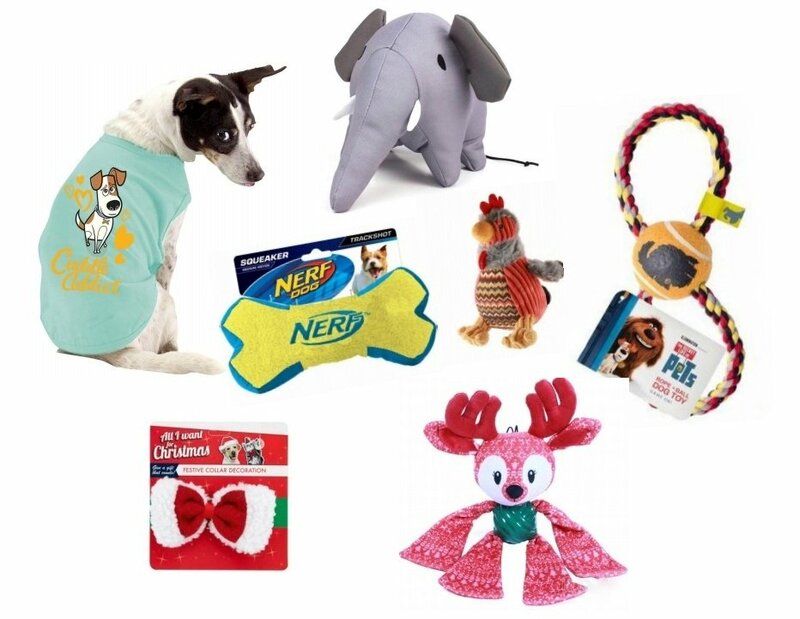 Knottie Rocky the Rooster – $8.39, Beco Soft Toy – Elephant – $22.99, NERF Dog 8″ Ultra-Track Bone Medium (Green / Blue) – $13.99, The Secret Life Of Pets Rope & Ball Dog Fetch Toy – $4.99, Wonderland Long Limb Pipsqueak – $12.99, Xmas Collar – $6.99, The Secret Life Of Pets Max Dog Muscle T-shirt – $19.99, Vitapet Gourmet Naturals Dog Treats – Chicken with Carrot, Sweet Potato and Mushroom – $7.19, Santas Dog Snacks Stocking – $6.29, Watch & Grow Banana Drops – $8.09, Yours Droolly Rabbit Sticks – $10.79, and Xmas Jumbo Rawhide Bon- Bon with DGG Munchie Crunch – $6.29. 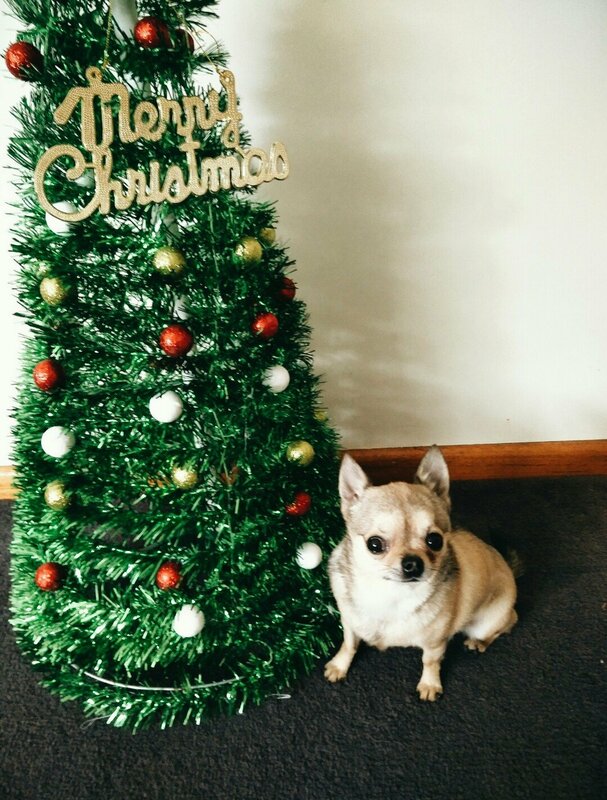 Do you buy your fur-baby a Christmas gift? What will you be buying your little fur one for this Christmas?